Kanye West and Kim Kardashian were pranked by Amy Schumer on the red carpet. 12. 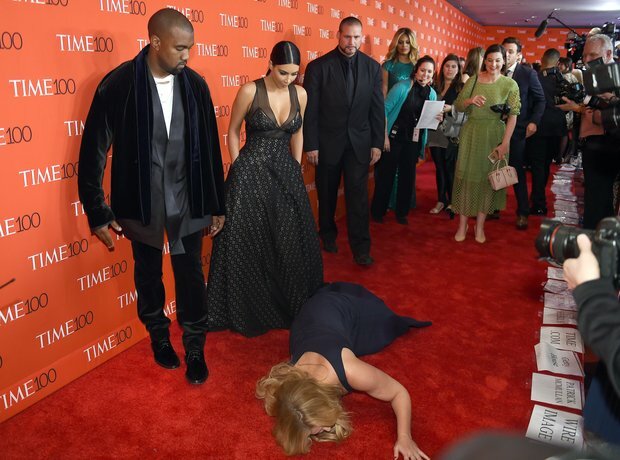 Kanye West and Kim Kardashian were pranked by Amy Schumer on the red carpet.